Mr Mohamed Salleh Marican's declaration of his interest in running in the upcoming presidential election is not a total surprise. As a prominent, successful Malay entrepreneur, his name is among several talked about in recent weeks as a possible presidential hopeful for the September election. It will be the first election reserved for candidates from the Malay community, following a review of the elected presidency to ensure the highest office of the land was representative of Singapore's multiracial society. Meanwhile, two other figures seen as potential candidates - former minister Abdullah Tarmugi and Bank of Singapore chief executive officer Bahren Shaari - told The Straits Times they were not keen on standing for the election. Speaker of Parliament Halimah Yacob, 62, who is widely considered a front runner, did not respond to queries from The Straits Times. Mr Mohamad Salleh, explaining his intentions, told The Straits Times in an e-mail yesterday: "I believe I have done well for myself in business and would like to step up and give back to society in a much larger way." The 67-year-old founded Second Chance in 1975 as a tailor of men's clothes. It expanded over the years and today, is a conglomerate with businesses in fashion, jewellery and property investment. In 1997, Second Chance became the first company owned by a Malay/Muslim to be listed on the Singapore Exchange. It went public initially on the secondary board, known before as Sesdaq, and now called Catalist. In 2004, it moved to the mainboard of the exchange. Changes made to the Constitution that were approved last November require private-sector candidates to have been the chief executive of a company with at least $500 million in shareholders' equity, on average, for the most recent three years. Second Chance Properties' shareholder equity was between $254.3 million and $263.25 million in the past three financial years, which is lower than the stated requirement. The Presidential Elections Committee, however, has the discretion to allow a candidate who does not automatically meet the criteria to stand, if it is satisfied that the person has the experience and ability to effectively carry out the functions and duties of the Office of the President. When contacted, two other prominent individuals from the Malay community touted as potential candidates confirmed they were not eyeing the election. Mr Bahren, 54, told The Straits Times in an e-mail: "I am humbled to have my name mentioned as a potential candidate for this year's presidential election by various media. It is always a privilege and honour to serve the nation. "At the moment, my focus is on growing the business of Bank of Singapore with my team and deriving the synergies from our recent acquisition of the wealth and investment management business of Barclays Bank PLC." Mr Abdullah, 72, said it is "unlikely" he will run in the election. "I had considered contesting earlier and many had in fact encouraged me to do so. But it is unlikely that I will contest. I have my reasons," he said, declining to elaborate. 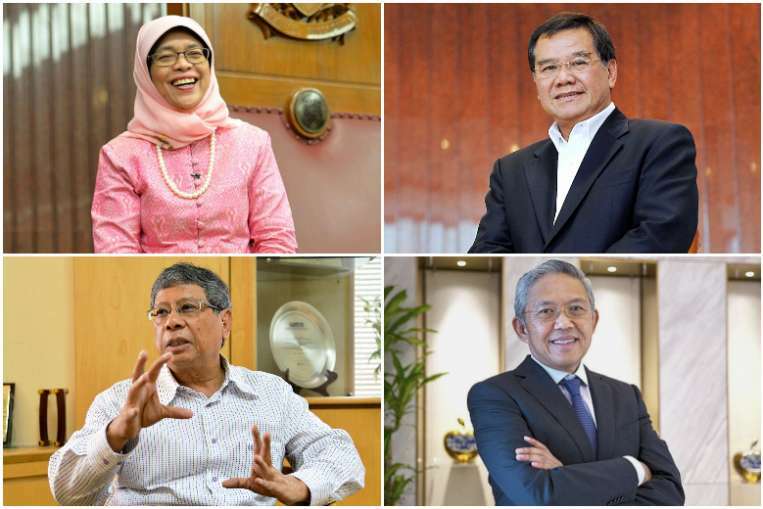 Other names that have been mentioned include Mr Shafie Shamsuddin, 46, the chief executive officer of PT Trans Retail, which operates Carrefour supermarkets in Indonesia. Mr Shafie, who could not be reached for comment, was named outstanding overseas chief/senior executive of the year at last year's Singapore Business Awards. He is the first non-Frenchman named in 2011 as an executive director of the global supermarket giant Carrefour, taking charge of talent management and organisational development.